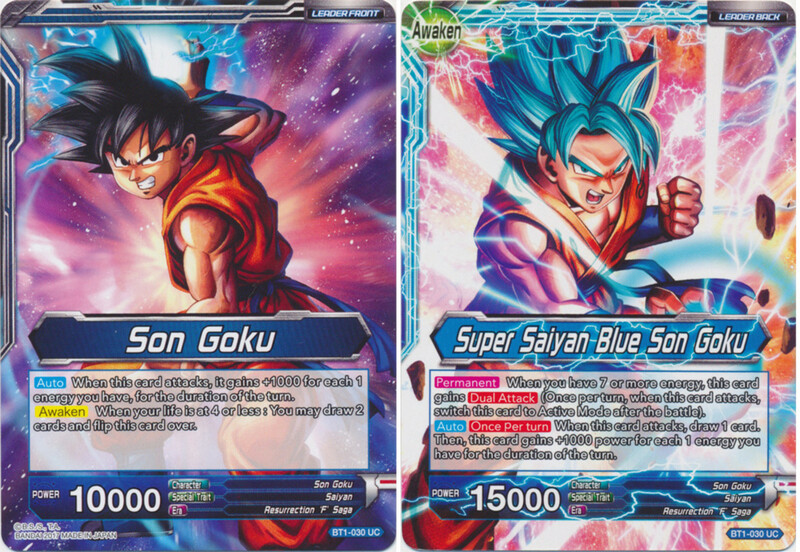 What Are Leader Cards in the Dragon Ball Super TCG? 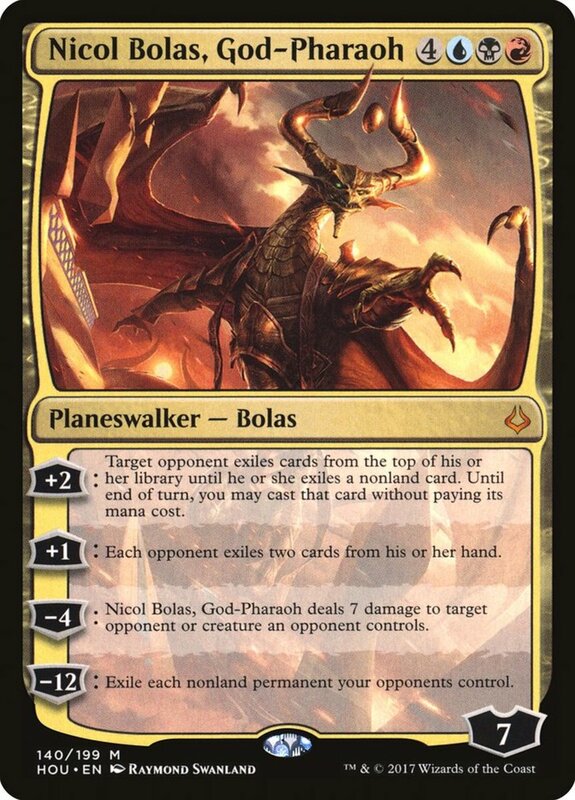 Similar to commanders in Magic's EDH format, the DBS Trading Card Game employs leaders, special cards that can only be used as the head of your team. Leaders are always available throughout your match, and you lose when their eight life hits zero, so protect them at all costs. Leaders have an awaken power that flips them to a stronger side when your life total runs low, giving you a potential comeback tool in any match, and they begin the game already in play, preventing you from needing to expend energy on them. But with hundreds of generals available, which units reign supreme? These are the ten best leaders in the Dragon Ball Super TCG! Vegeta was one of the best leaders upon release, and he still remains a prominent force even now. Like most leaders, he begins with 10,000 power and increases to 15,000 when awakened, which you can do when your life is at four or less. Upgrading him also lets you draw two cards, restocking your hand. 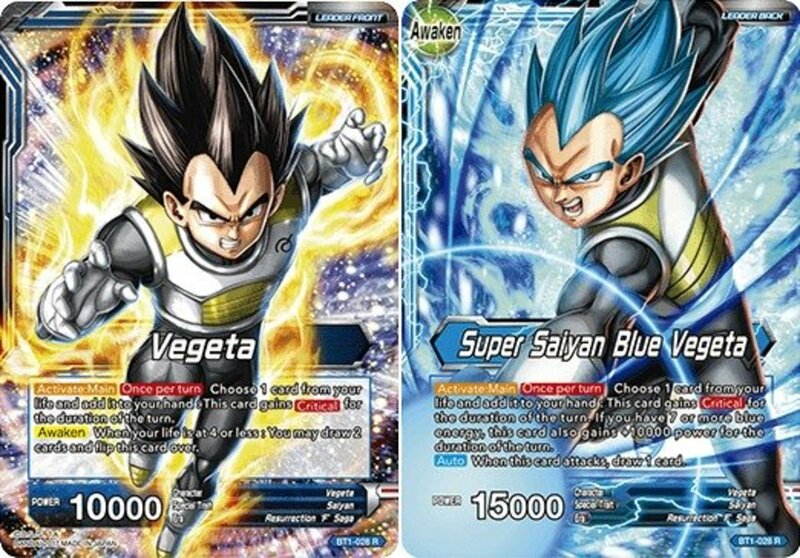 Vegeta's real treat is his ability to (once per turn) take a card from your life total, add it to your hand, and gain critical for the turn, meaning damage he inflicts to your opponent sends card to their drop zone rather than their hand, denying them card advantage. In his awakened state, Vegeta also gains +10,000 power for the turn if you have at least seven energy when you activate this trait, and automatically draws a card when he attacks. His trademark ability reduces your own life, but the hand advantage and critical effect you gain more than justifies the price. Frieza bears that standard 10,000/15,000 power, and you awaken him just like Vegeta, flipping him over and drawing two cards when your life is four or less. In his default state, Frieza automatically refreshes one of your battle cards at the end of your turn, switching it to active mode and preventing opponents from attacking it on their round. In his Galactic Emperor upgrade, you can rejuvenate up to two allies, and Frieza automatically draws a card when you attack, making him a surprisingly powerful support unit who lets your allies attack without fear of repercussion. Red decks are infamous for their aggressive policies, with Pan offering one of their best vanguards. 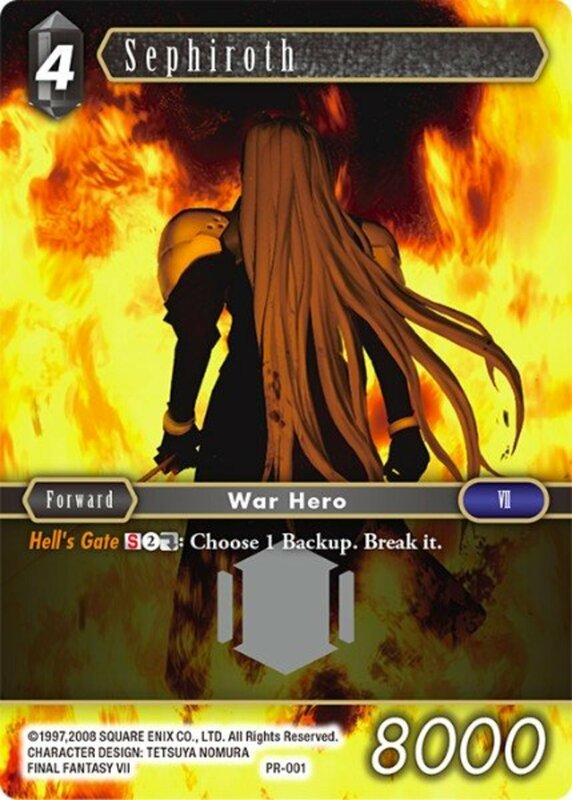 Her first effect automatically grants any battle card you play an extra 5000 power on its first turn, an excellent way to quickly decimate enemies. Then, if it has 20,000 or more power, you also get to draw a card, increasing your options and mitigating red's common hand-loss issue. Pan may evolve when your life is four or less, refreshing up to two of your energy into active mode. Her power increases to 15,000, she retains her previous ability, and will now draw a card when she attacks, further padding your hand and fueling your offense-oriented plays. Beerus was a huge contender in the base set, and he's still formidable. If you have three or more energy, when Beerus attacks, you get to immediately KO an opposing battle card with a cost of two or less, an excellent low-level removal. Unlike some attack triggers, his ability activates no matter who he strikes, whether your opponent's leader or one of their battlers. Par for the course, Beerus transforms when you have four or less life, drawing two cards in the process. Now, he'll draw when he attacks, and you can KO a battle card of up to three cost, letting you target stronger cards with your removals. 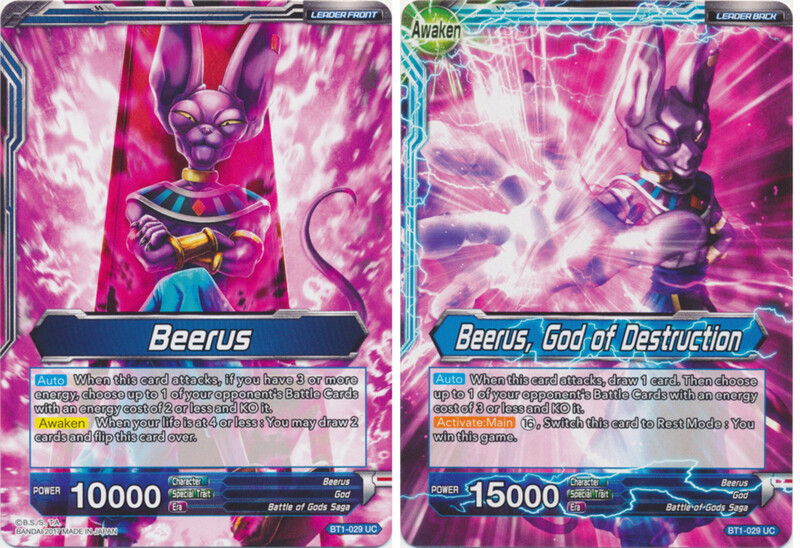 Beerus's God of Destruction form also wields a rare alternative win condition, letting you spend a whopping 16 energy and exhaust Beerus to immediately win the game. While ramping these resources isn't easy, it grants Beerus some interesting stall potential, letting you eventually end stalemates with his ultimate effect. Goku was arguably the best commander in the first set, and he retains his power now, serving as a commander who scales well as your energy advances. When he attacks, Goku gains +1000 power for each energy you have for the rest of the turn, making him a prime offensive force that can reliably win fights without combo boosts. He morphs into his infamous Super Saiyan Blue state when you have four or less life, also letting you draw twice. 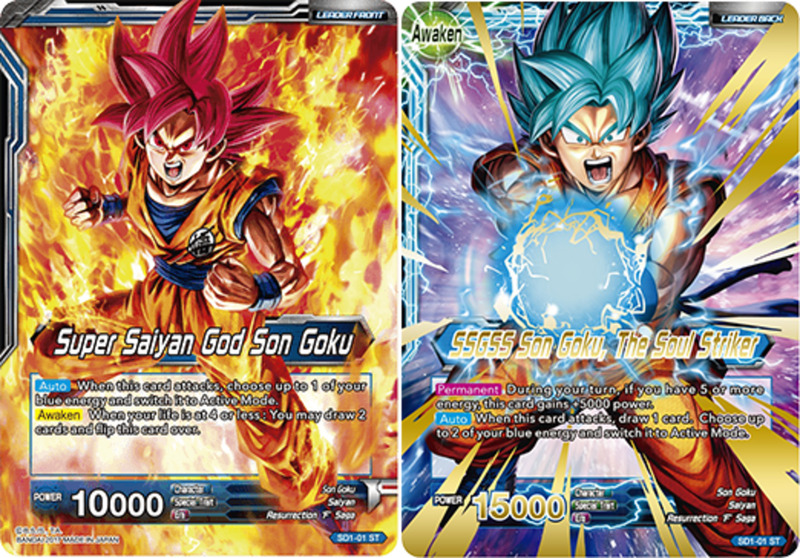 In this state, Goku retains his first effect (though it's now once per turn), but he also draws when you attack. 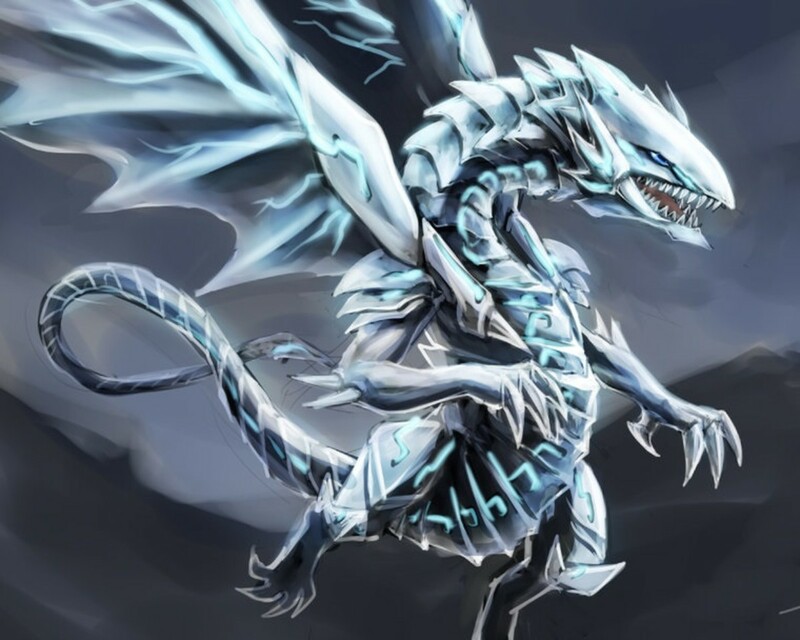 Additionally, while you have seven or more energy, he gains the rare dual attack trait, letting you refresh him once per turn after an attack, essentially letting you strike twice each round! 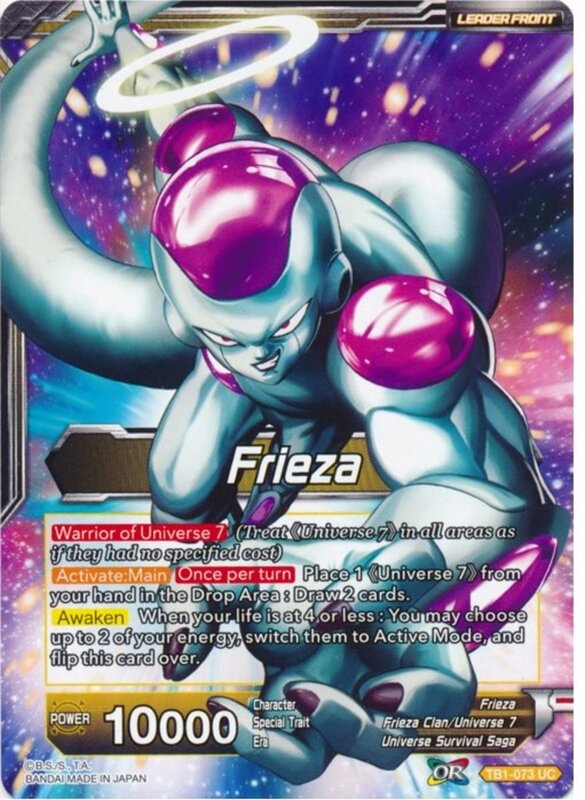 Easily my favorite of the Universe 7 leaders, Frieza lets you treat Universe 7 cards as if they had no specified cost, meaning you can spend any type of energy on them regardless of color. Additionally, he can (once per turn) discard a Universe 7 member to draw two cards, an excellent trait that both improves your hand and fills your drop zone. 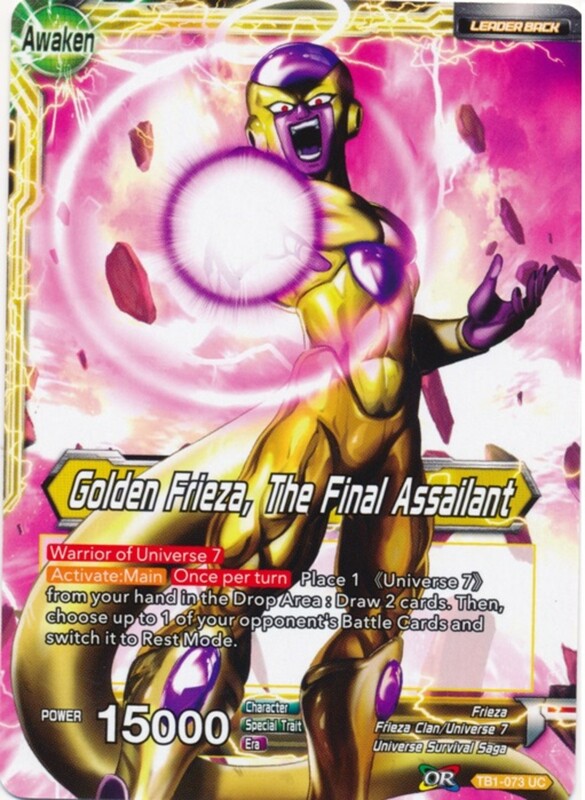 When awakened with four or less life, Frieza can refresh up to two of your energy, and now when he discards a Universe 7 card, you not only draw twice, but also exhaust an enemy battler, changing them to rest mode and making them vulnerable to your attacks. Yet another prime blue commander, Super Saiyan God Goku bears the expected 10,000 base power that upgrades to 15,000. 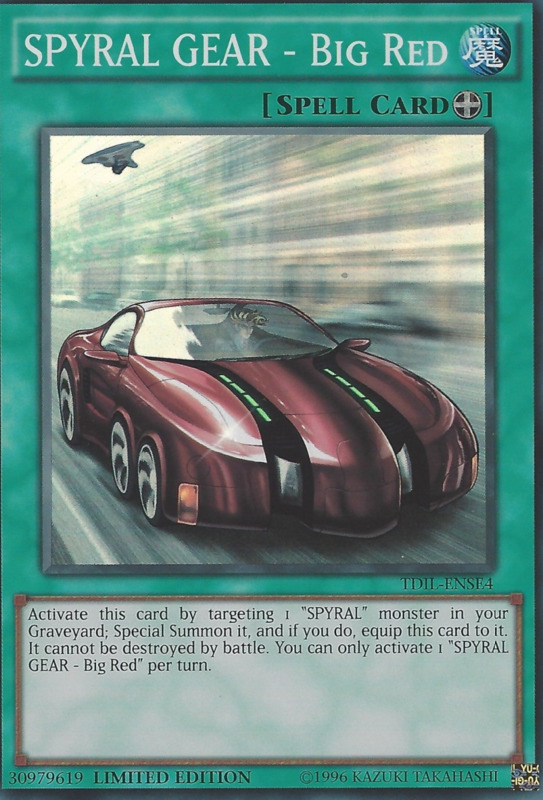 When he attacks, you get to refresh one of your blue energy cards, making him an excellent ramp tool. 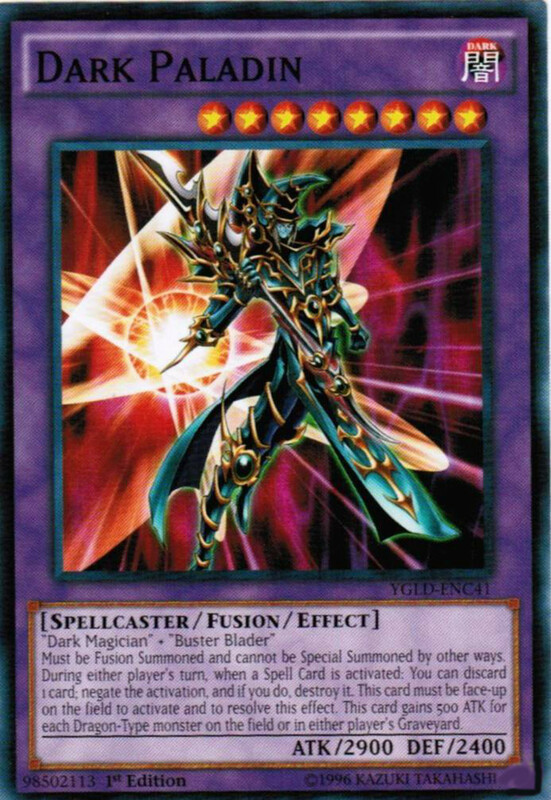 He flips at four or less life, drawing two cards, and when he swings now, you refresh up to two blue energy and draw a card! Plus, if you have five or more energy, Goku permanently gains +5000 power, making his upgrade one of the best in the game. I've had great success quickly awakening Goku with Gohan and Tapion supports to quickly make use of his two-refresh; thankfully, he's pretty affordable, costing well under five dollars! 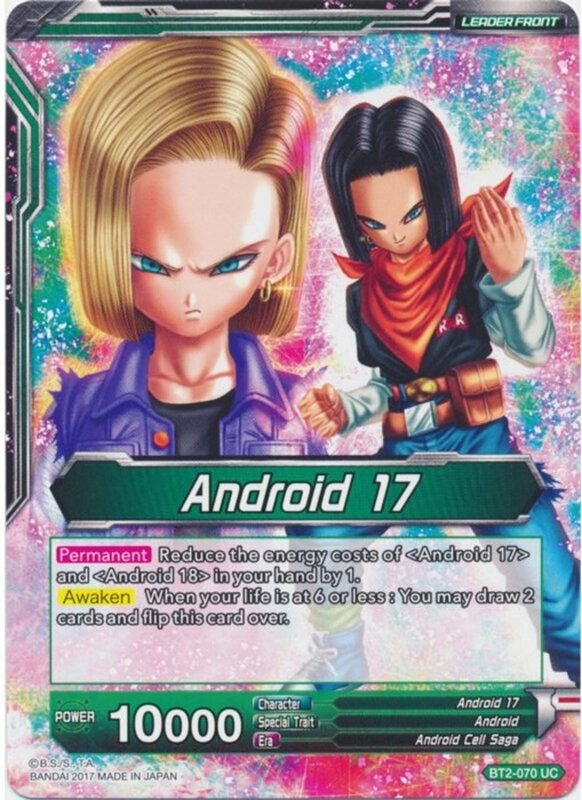 The infamous captain of the "Droid" decks, Android 17's first benefit is reducing the costs of 17 and 18 cards in your hand by one, letting you field your cyborgs much faster. 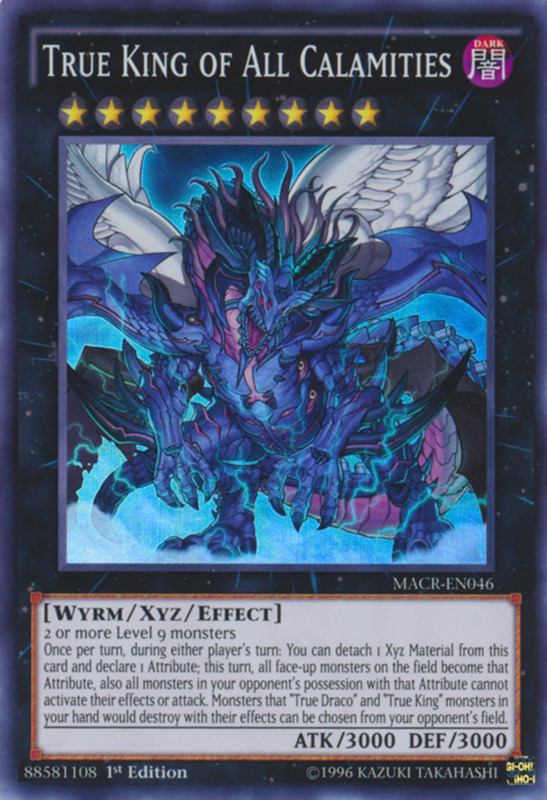 Additionally, he can awaken at not four, but six or less life, granting a fast evolution that also lets you draw two cards. Now, the morphed version sadly retains its 10,000 power, but if your life is four or less, it grants all your 17 and 18 cards an extra 5000, quickly remedying the problem. 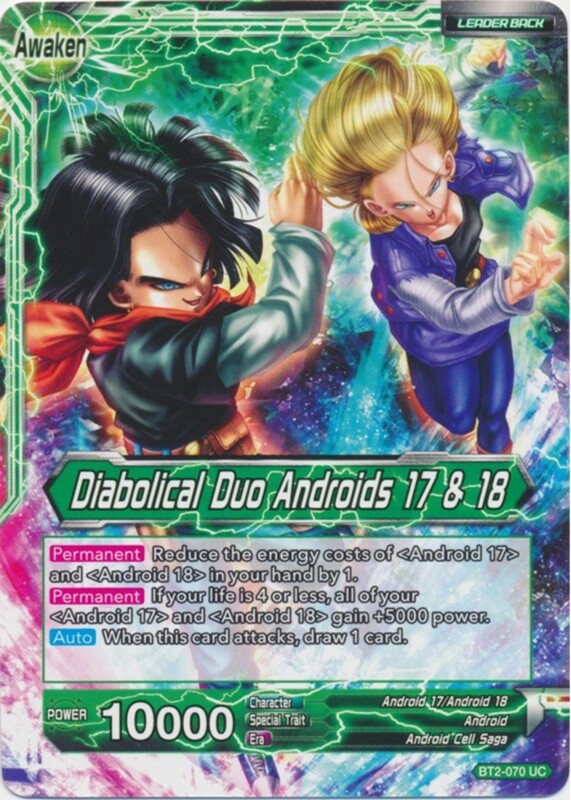 You still reduce your prices by one, and you can now draw when you attack, making these twins a devastating pair who work well with Cell's green absorb cards. This popular card fills your graveyard (er, drop zone) like no other, letting you once per turn mill three cards from your deck into it. If at least one was black, Masked Saiyan gains critical for the turn, sending damage to your opponent's drop zone rather than hand. 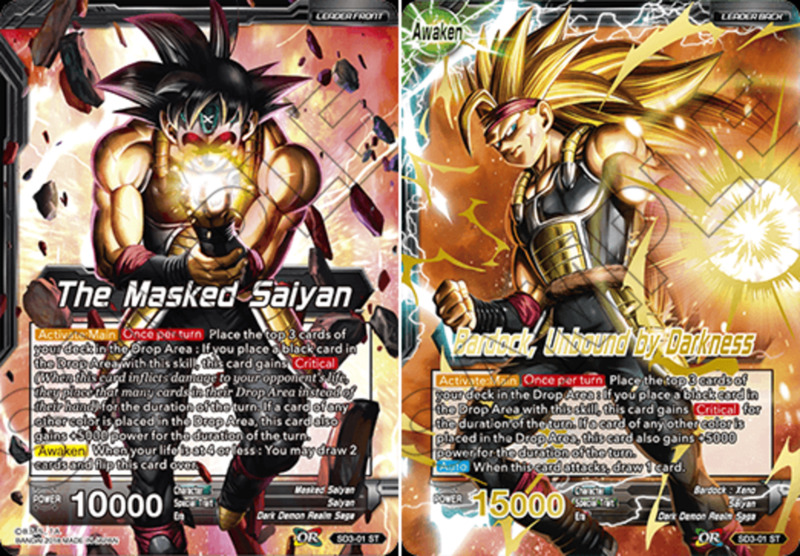 Plus, if at least one wasn't black, Masked Saiyan gains +5000 power for the turn; try black/red pairings to try and access both bonuses. 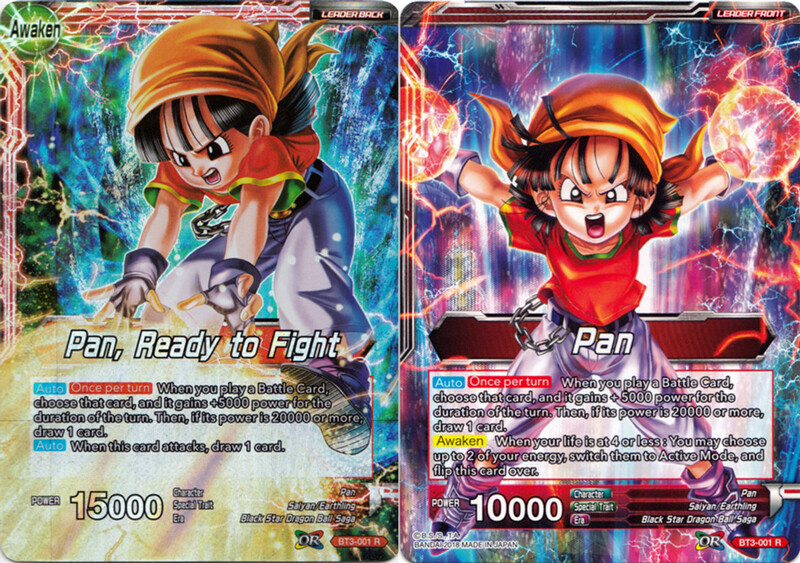 At four or less life, you can transform Masked Saiyan and draw two cards. His ability is exactly the same, but he now has 15,000 power and automatically draws when he attacks. With Bardock's milling and draw capabilities, you can quickly make use of effects that rely on a full drop zone, and his potential power boosts only sweeten the pot. Bardock revolves around using multiple colors rather than one, has won me several local matches, and remains my favorite always-legal general, especially since he costs less than two dollars! 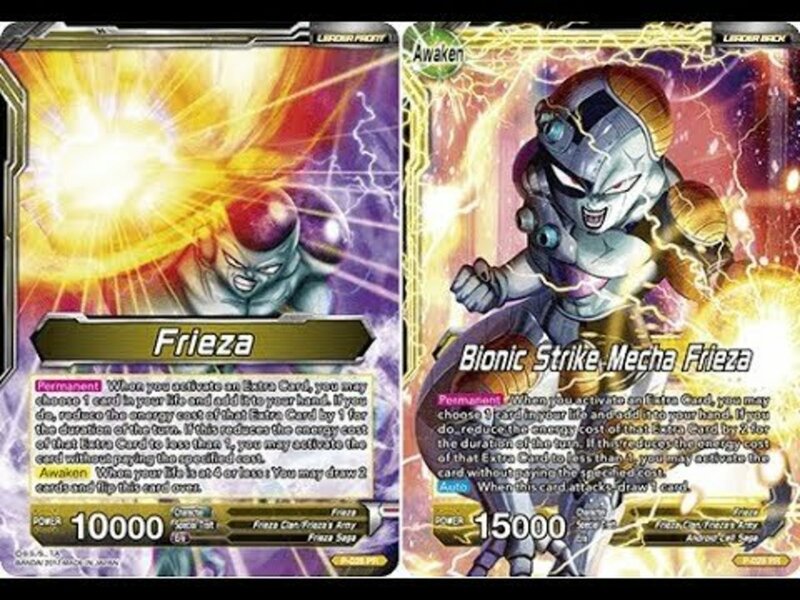 Despite some errata changes, Frieza's Bionic Strike form remains a deadly unit infamous for his ability to kill in just the second round. 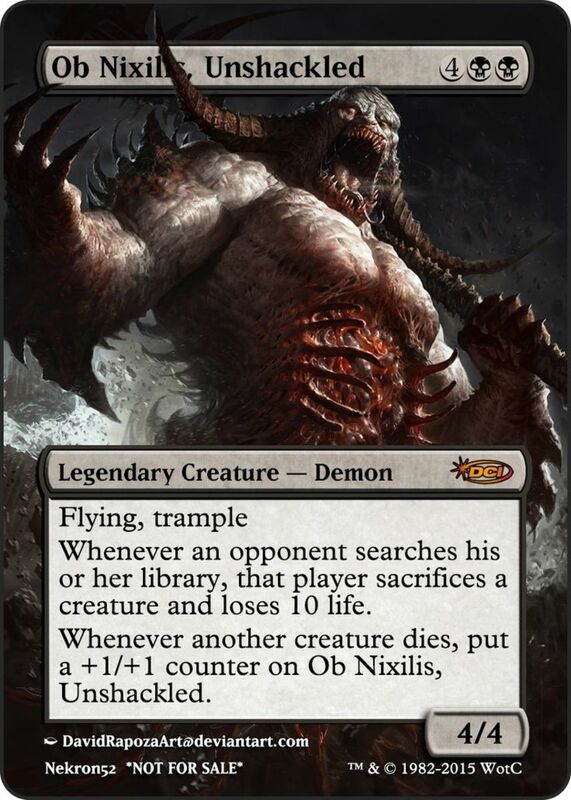 His ability lets you reduce the cost of an extra card (think instants in Magic) by one during your opponent's turn if you add a card from your life to your hand. This lowers your health, but stocks your hand and grants amazingly fast plays of your best extra units. 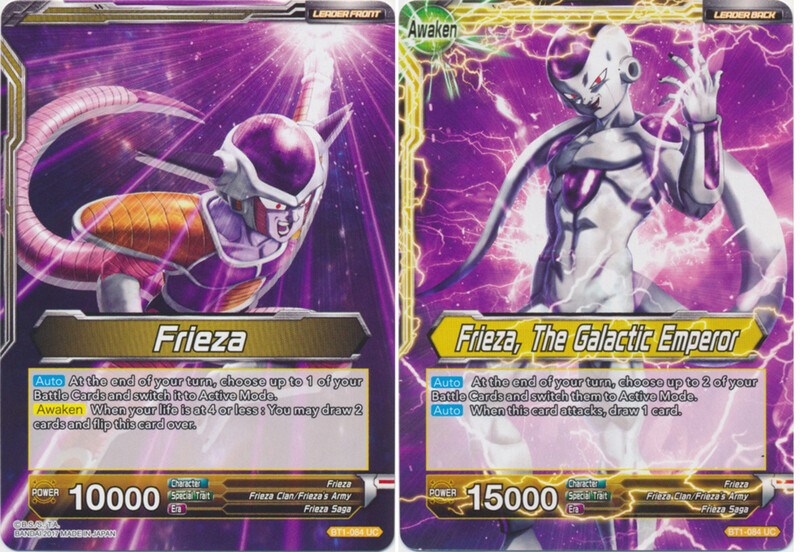 When awakened at four or less life, Frieza flips over, draws you two cards, and now reduces the price of extra spells by two when he uses his ability, often making them free to cast! While he hasn't been officially banned as of this writing, several tournaments have initiated an informal restriction against Mecha Frieza, so make sure to check before entering sanctioned matches. But when he's allowed, combo him with cards like "Victorious Fist Super Saiyan 3 Son Goku", "Fearless Pan", and "Hyper Evolution Super Saiyan 4 Son Goku" to rapidly decimate your foes. 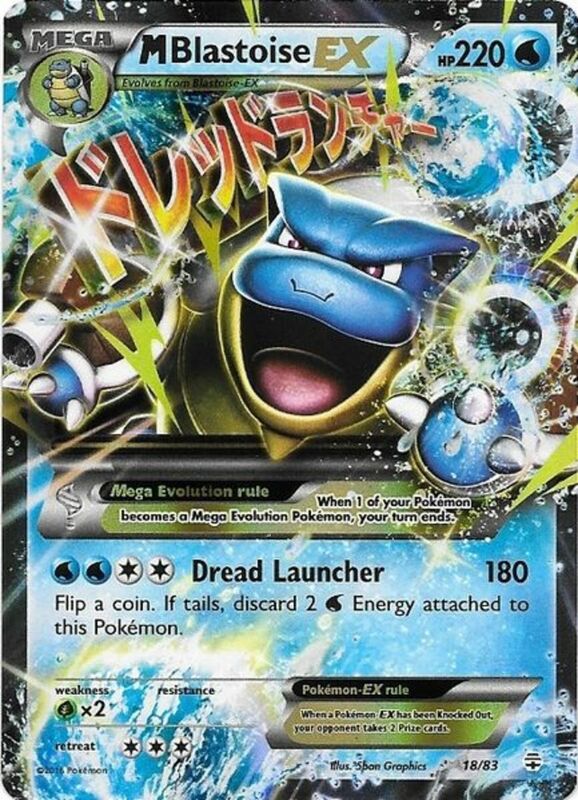 While the Super anime is on hold, the TCG continues to grow and introduce new leaders. With future commanders undoubtedly coming and some excluded banned cards (looking at you, "Heightened Evolution Super Saiyan 3 Son Goku"), we still have plenty of awesome leaders to cover. But for now, as we eagerly await the next Dragon Ball Super expansion set, vote for your favorite card and I'll see you at our next gaming countdown!